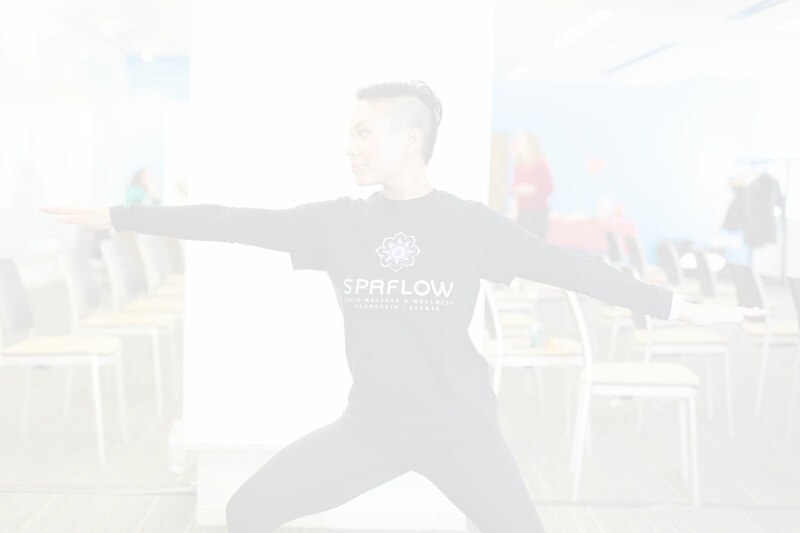 Create a peaceful work environment with an on-site office yoga session from Spa Flow. A day at the office can come with stressors that we don’t have control over: tough clients, strict deadlines, and difficult colleagues. What if we could offer you a cost-effective solution to alleviate the pressure for your employees, all while helping them get back to work in a better mood? Imagine supervising a staff with better problem-solving skills, strong team spirit, a positive outlook, less sick days, increased energy and vitality, and the ability to stay cool under pressure. All of this is possible with Spa Flow’s on-site Office Yoga & Meditation classes! Balanced, relaxed employees are more productive, which makes them more cost effective for you. A 2008 study by Ohio State University found that a regular office yoga & meditation practice significantly reduced stress levels in employees, and improved their sleep quality! The possibilities are endless for your team when they’re in sound spirits mentally and physically. They’re inspired to bring a quality approach to their work and the people they serve. Spa Flow helps bring balance to the workplace and workforce with our incredible on-site office Yoga & Meditation sessions! 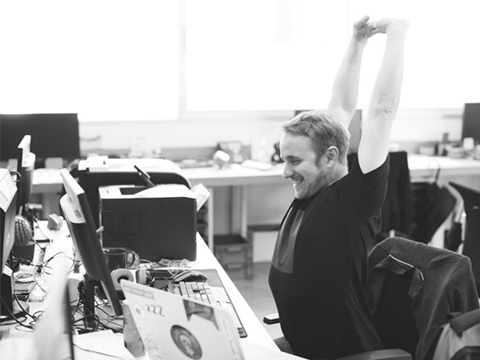 A 2008 study by Ohio State University found that a regular office yoga & meditation practice significantly reduced stress levels in employees, and improved their sleep quality! Learn yoga-inspired stretches that can be done at work! Chair yoga is a seated and/or standing class that can take place in a conference room, meeting room, or right at your desk. It’s a cost-effective way for employees to de-stress and restore their energy to take on the day. Participants do not need to change clothing; they can remain in their regular work attire. Your team will learn movements that help them relieve tension and stress caused by sitting hunched over their computers for long hours each day. Classes can go from 20 minutes and also include a mindful meditation moment at the beginning and end of class. All classes are led by a registered yoga instructor. Who would have thought you could practice meditation at work? Spa Flow’s team makes it easy to practice mindfulness throughout the workday. It’s important that your team take a moment to regroup and refresh if they’re going to perform their best. Guided mindfulness-based meditation will help them do just that. 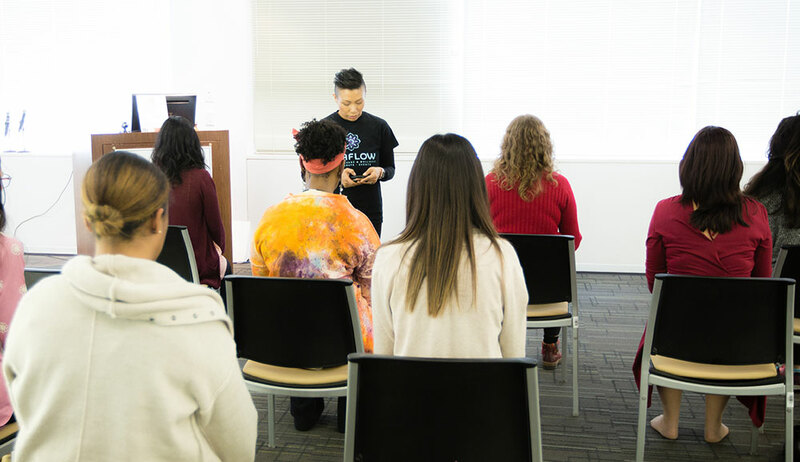 Our instructors can turn any office space into a peaceful environment for each of their classes. Sessions range from 15-45 minutes long, and are led by a trained instructor. Your staff will learn simple effective techniques that can be used anywhere and anytime to help increase focus and bring positivity to the office. 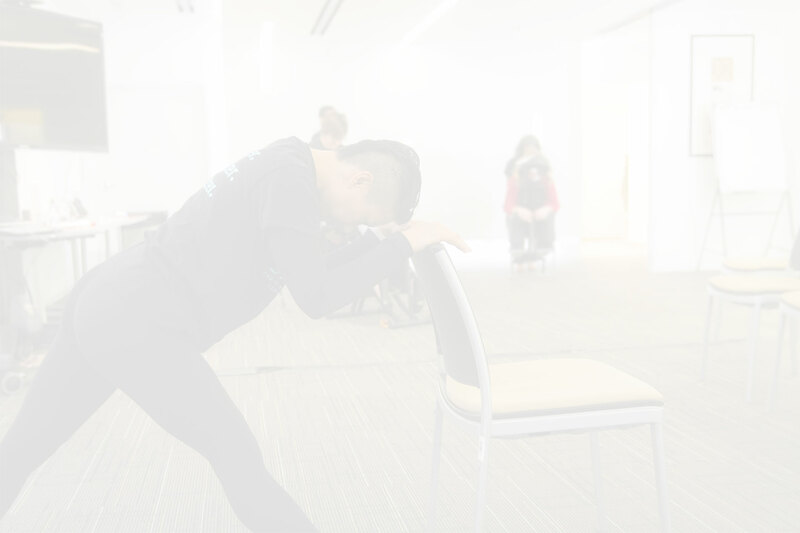 Meditation can also be incorporated into Chair Yoga or Traditional Yoga class. Yoga is known to improve flexibility, strength, mindfulness, and blood flow. Spa Flow offers on-site yoga classes to treat your office staff with the restorative properties yoga can provide. Our on-site office yoga classes are designed to relieve stress and tone the body, helping your team feel even more motivated to do their best work. Classes are designed to meet all ability levels, so if you’ve never done yoga before, or are a total yogi, all are welcome! We’ll work with you to determine the best space in your office for the class based on the number of participants. Classes last about 30-60 minutes long, and are led by a trained instructor. Participants must provide their own mats. Discounts available for weekly and monthly series of classes. If you’re ready to feel the flow of one of our on-site office yoga classes, guided meditation, or both, give us a call, Schedule Now or Request A Quote!